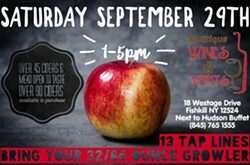 Taste over 40 examples of hard cider from the Hudson Valley and around the world. Lots of different styles will be featured- from dry to sweet, fruited to farmhouse. 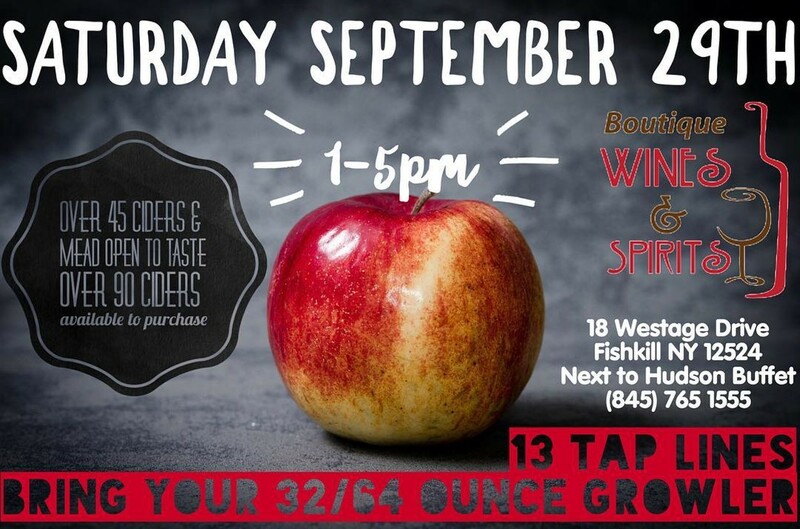 With 50 types of cider in bottle available to purchase and local cider makers on hand, this is an event that shouldn't be missed. Check out the only liquor store in NY with 13 hard ciders on tap! Bring your own 32 or 64 oz growler or purchase one here to fill.